Candle Nativity, Zion Lutheran, Chattanooga, Christmas Eve 2011. Even though all the Christmas services are over and most families have had their Christmas gatherings, it is still the Christmas Season. 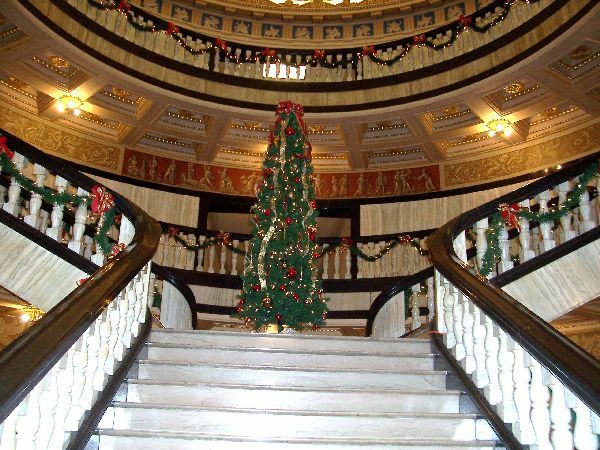 There is a very good article about The Twelve Days of Christmas and how the song relates to Christianity and the Bible at The Voice. We had a very busy Christmas weekend. We do not have a pastor at Zion, Chattanooga, right now but we continue to have services. 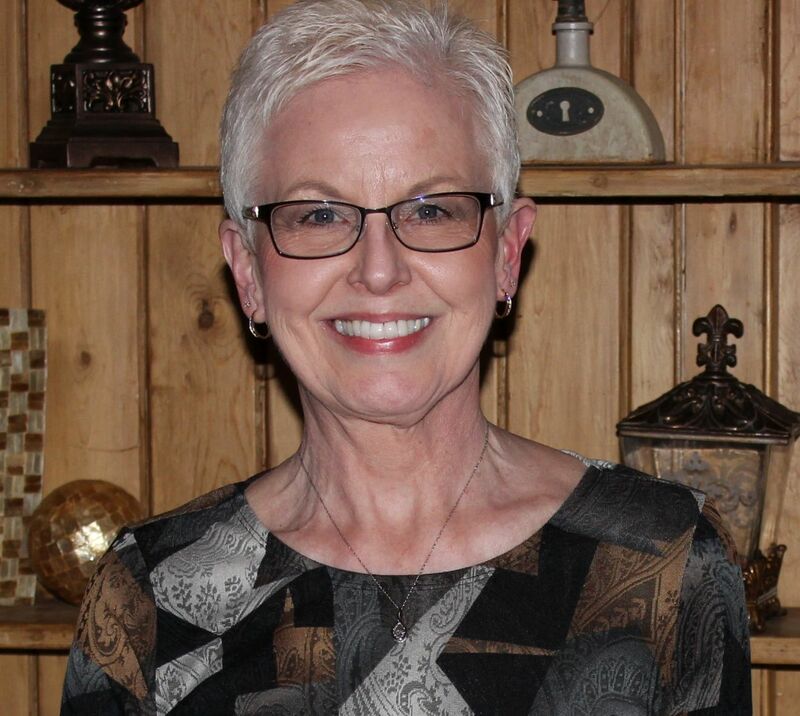 Lay members are stepping up to help with the services. However, things don’t always go smoothly or as planned. Here is how our service went last Saturday evening. I got the idea for this year’s Christmas Eve service on the Internet. The service involved a lot of candles that made up a “Candle Nativity.” Each candle symbolized a character in the Nativity and each candle was to be lighted as the Nativity story was read and hymns were sung. Jesus was the small white votive candle. 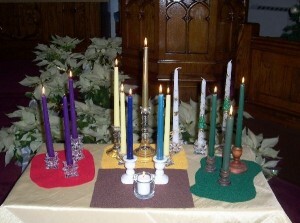 The other candle colors: Mary: light blue; Joseph: dark blue; angel Gabriel: gold; angels: yellow; three kings: purple and the shepherds: green. I set up everything on a small table and hoped that the candles wouldn’t fall over and catch the church on fire. The main participants in the service were as follows: My husband Joe led the service and our son Jeff “volunteered” to light the candle Nativity. Sophia was the acolyte and her dad Lynne read some of the readings. Lynne also makes and prints our bulletins. Kendra was at the piano and I was at the organ. Kendra happens to be the wife of Lynne and the mother of Sophia. I printed out a detailed script for the main participants. In it I included all of the scripture readings, using the NIV (New International Version) of the Bible. I did not know that Lynne was going to print out all of the scripture readings in the bulletin. He did not use the NIV version. He used a different version. Kendra and I played some pre-service Christmas duets. I lost my pianist at the end of Coventry Carol. All sound from the piano ceased as I turned to the last page. The arrangement is not difficult at all and Kendra was not likely to get lost in that song. Luckily I had the major part on the last page and finished the song as a solo. Later I found out what had happened. Kendra did not have that particular book with her and she copied the music from my book before the service. But she forgot to copy the last page of the song! Another point to add for a successful duet performance: Make sure both musicians have all the pages to the music! All in all it was not our best performance. Kendra and I agreed afterward that we had peaked the week before at our concert. 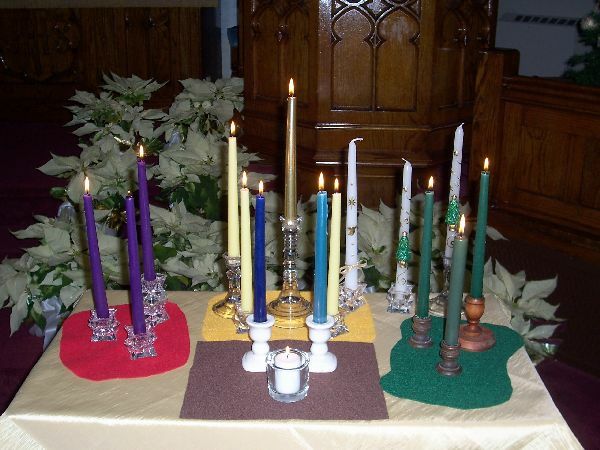 Then the time came to light the large white Christ Candle that was in the middle of the Advent Wreath. Joe thought that Jeff was supposed come forward to light it. 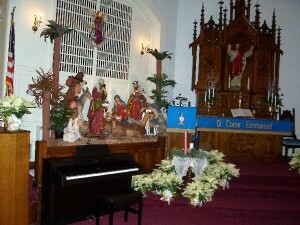 Remember: Jeff was to light the candle Nativity on the little table later in the service. This led to a Bennett power struggle up front. From in front of the altar Joe was motioning for Jeff to come forward. At the organ I was waving Jeff back to his pew and telling him “not now”. This went on, back and forth, for several long moments until I got Jeff to sit down again and gave Joe “the look”. I then motioned for Sophia to light the Christ Candle. We sang some Christmas hymns. Meanwhile, back at the altar, Joe discovered that he was missing the center section of his bulletin. He was frantically trying to find his place while trying to read smoothly and keep the service going all at the same time. He had to switch over and read from the script I had given him. But he had a hard time finding his place because the scripture verses were not the same. Remember, Lynne used a different version of the Bible for the bulletin. Up in front Joe was really sweating it. Literally. They had a spotlight shining on the large beautiful Nativity that was off to the side of the altar. The same spotlight was also shining on Joe. Add to this the fact that the church was warmer than usual that evening. After the offering was our candle-light service. The church lights were dimmed and everyone was to hold a candle while singing Silent Night. The Song of Simeon was to be read by the congregation while the ushers took lighted candles to each pew. The Song of Simeon never happened. Joe overlooked it while shuffling through all the papers he was holding. I didn’t have the heart to wave at him from the organ and remind him of the prayer. We continued on. Jeff had neglected to pick up a candle to hold during Silent Night and he made us aware of that at the last minute. Thank you, Kevin, for giving Jeff your candle. I guess I will take it as a complement. 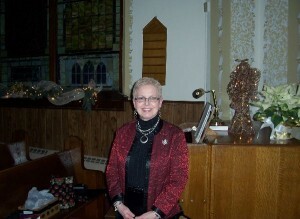 I want to thank everyone that helped in any way with our Christmas Eve service. 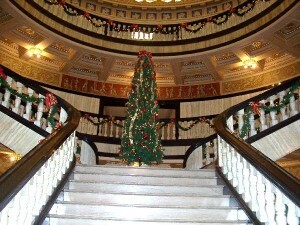 We stopped at the Mercer County Courthouse this week and it was beautifully decorated for Christmas. 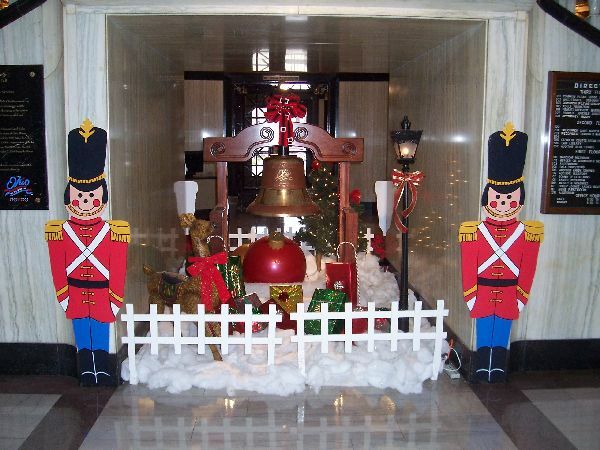 Decorations around the Bicentennial Bell, Mercer County Courthouse, Christmas 2011. I guess I’m lucky I had the spotlight glaring in my eyes. That kept me from seeing that I had received the “Dreaded Look”.